Father David Friel drinks the Blood of Christ from the chalice. 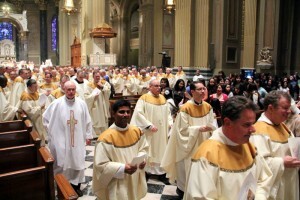 The priests leave the cathedral at the recessional concluding Mass. 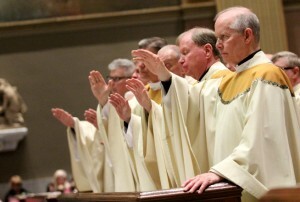 Priests offer one another the sign of peace, including Msgr. 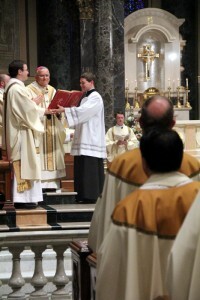 Francis Depman (left) to Msgr. 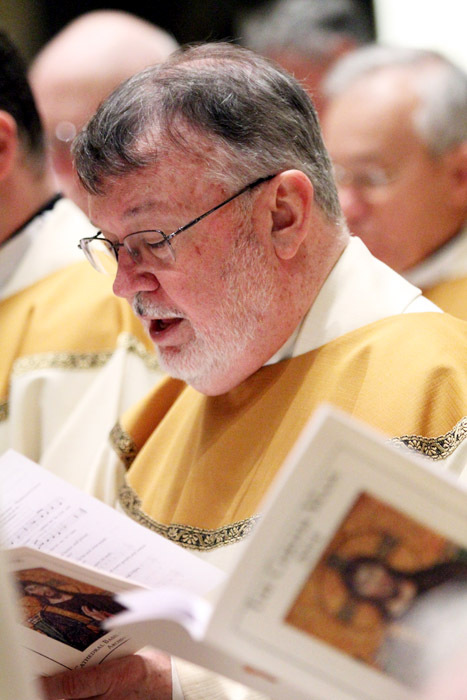 Thomas Mullin. 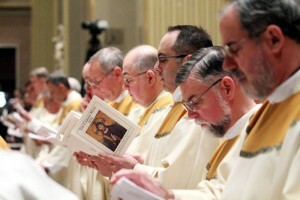 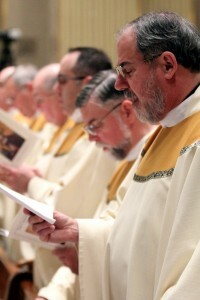 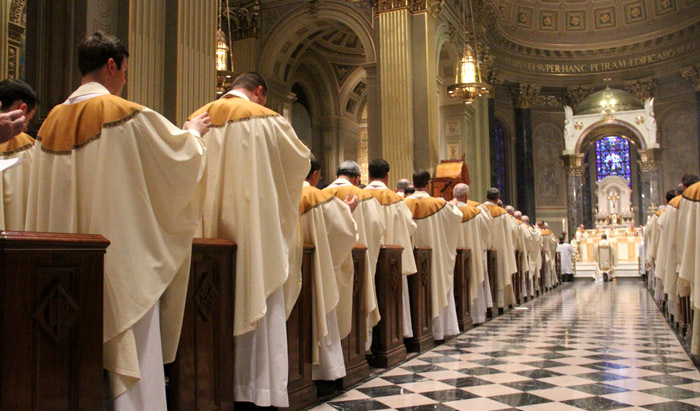 Priests together pray the prayer of consecration of the Eucharist. 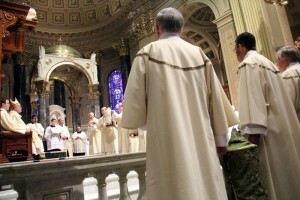 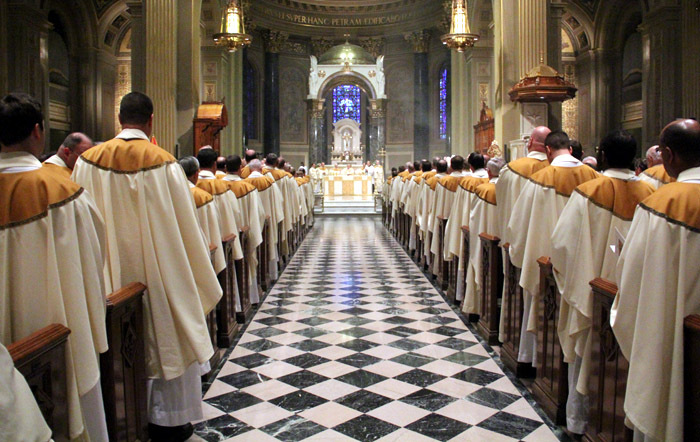 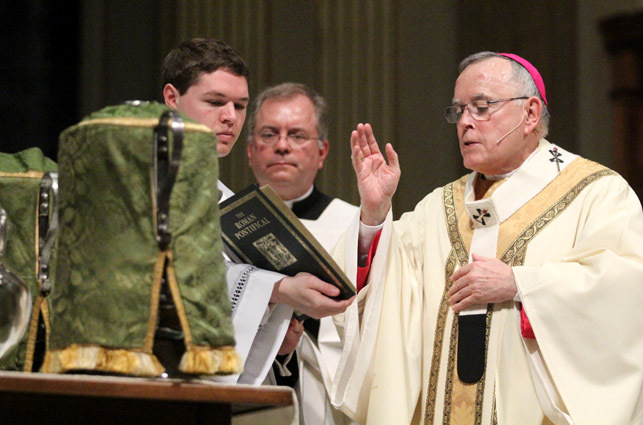 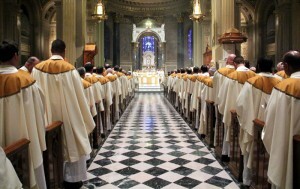 Archbishop Chaput mixes fragrant balsam into the oil of sacred chrism. 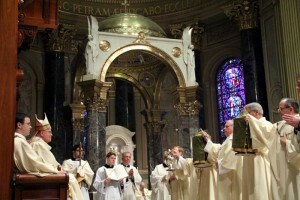 The archbishop prays the blessing of the holy oils. The oils are presented by the deacons to the archbishop for the rite of blessing during the annual Chrism Mass. 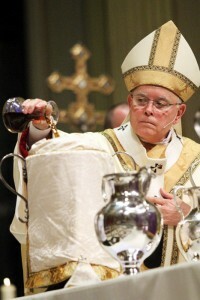 The oils were later distributed for use in parishes throughout the archdiocese. 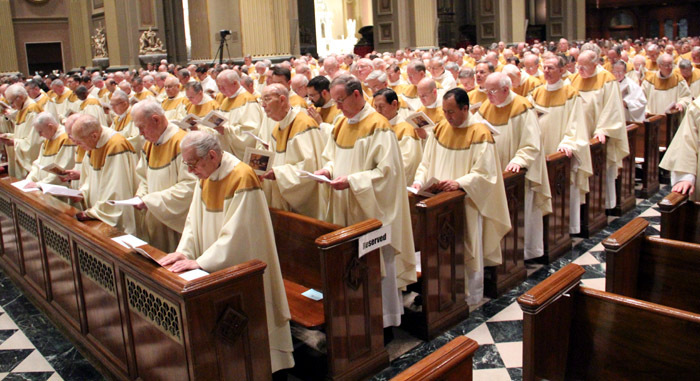 Deacons prepare to present sacramental oils to be blessed by Archbishop Chaput. 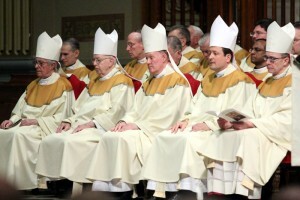 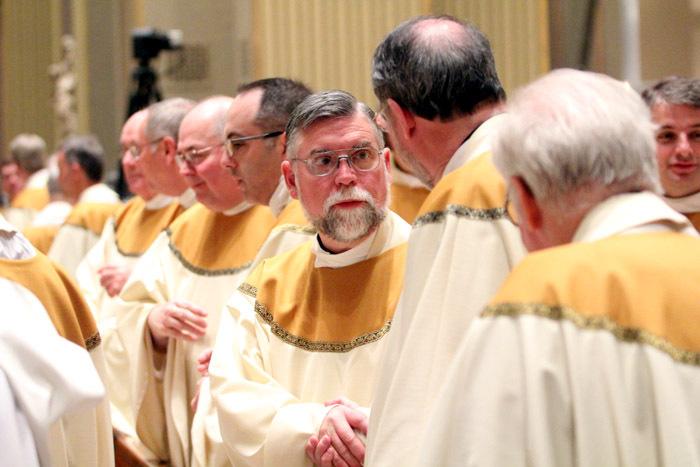 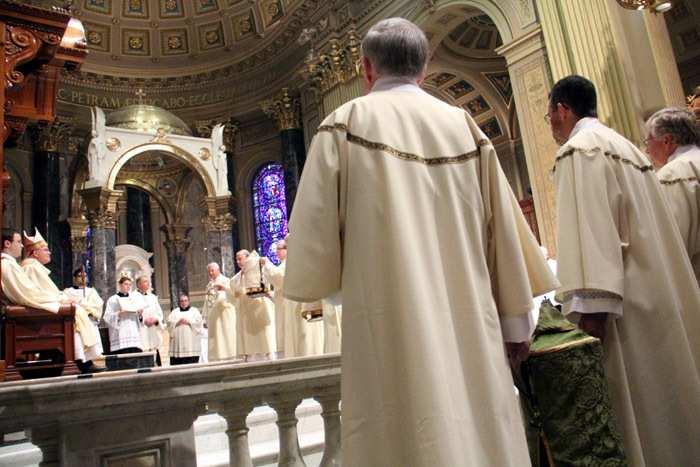 From left, Auxiliary Bishops Louis A. DeSimone, Robert P. Maginnis, Michael J. Fitzgerald, John J. McIntyre and Timothy C. Senior concelebrate the Chrism Mass. Msgr. 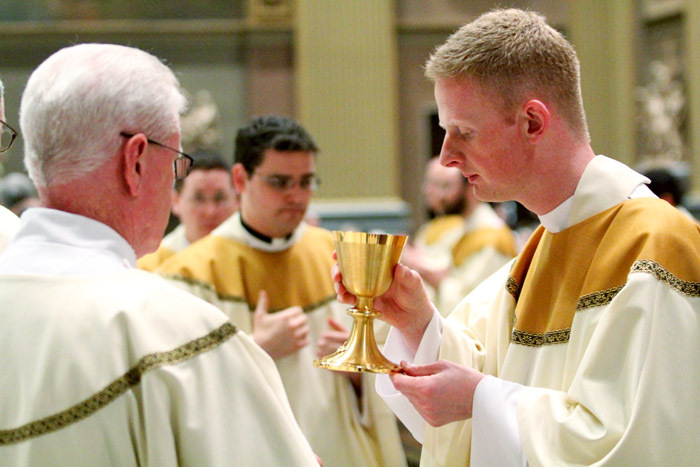 Stephen McHenry, pastor of St. Anthony Parish in Ambler, concelebrates Mass.